First off, thank you to everyone who made it out to yesterday’s tree lighting! The BIA is always so happy to have us kick off the festivities, and we’re always so happy to be there. 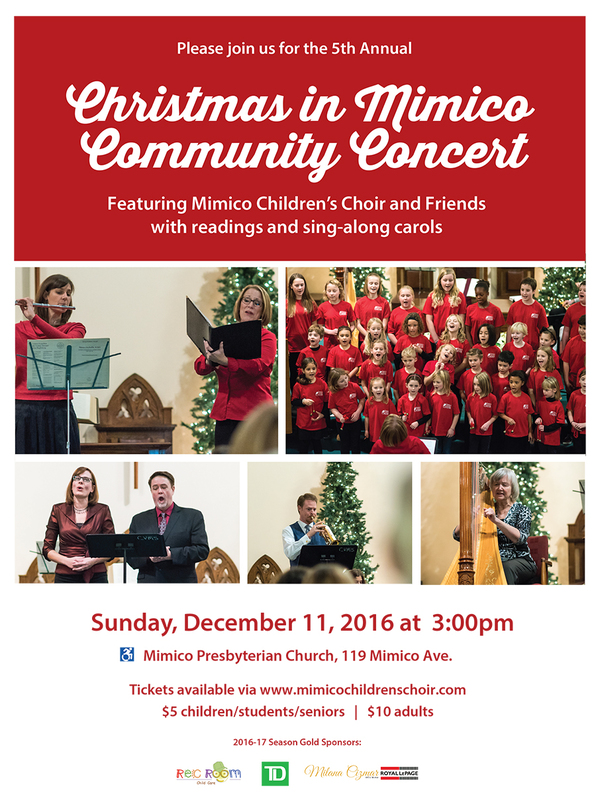 If you liked what you heard at the lighting, you’d better prepare yourself for the wonder that’s going to be our annual Christmas in Mimico concert! The kids are sounding great and our community friends are ready to put on a show like no other. You won’t want to miss it! On that note, have you bought your tickets yet? If not, get them here. And don’t forget to invite your friends, family, and neighbours, so that we can pack the house and sing those carols loud and proud. Note that the choristers themselves don’t need a purchased ticket, but anyone in the audience does. And just a reminder: this week’s rehearsal is being extended to 5:00, so that we can smoosh in as much practice as possible.